Walls to Windows, the area’s premier window treatment shop, features styles for all tastes and years of experience and knowledge. Owned and operated by Patricia Mansor, Walls to Windows has been in business since 1987 when Mansor sought a career change that would keep her closer to home. 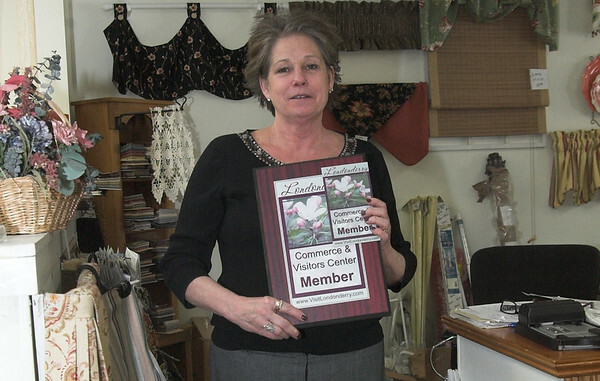 Originally located in Derry, NH, the shop moved to Crossroads Mall in Londonderry twelve years ago, where it has remained since. 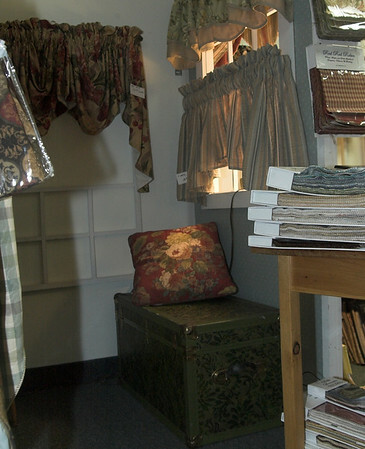 The shop began working with wall paper and customer drapery but moved into ready-made products about eighteen years ago. Over time, they became known for their window treatments, so Mansor dropped the wall paper and began focusing on window treatments. The store currently hosts hundreds of different styles of ready-made products, but will still do custom work upon request. The experience and knowledge offered by Walls to Windows is extensive. Mansor can answer any and all customer questions and works closely with clients to ensure satisfaction. She gets to know her customers and can review and fine tune what they need, guaranteeing they get what they are looking for. She also encourages clients to bring in items from home, including pictures and decor, to match the curtains. Once a fabric is selected, she encourages clients to take a swatch home to see how it will look in the space. Upon ordering the curtains, it takes about four weeks to receive the product. Walls to Windows does carry a few curtains that are available in the shop, but Mansor realizes most customers want to pick out what they want, not what the store stocks. The shop features hundreds of ready-made curtain patterns and styles to choose from, along with blinds, shades, and hardware needs. Walls to Windows can also create bed spreads, shower curtains, comforters, toss pillows, window seats, and reupholster small items. Walls to Windows is open Tuesday through Friday from 10 AM until 5 PM and on Saturdays from 10 AM until 3 PM. No appointments are necessary.